The dream of self-driving cars is quickly becoming a reality. Whether people like it or not, companies are well underway to continue developing and improving self-driving technology. In fact, Google car prototypes have already hit the streets of a couple different U.S. cities. Google is the first company to fully develop, and release self driving cars to the streets for testing. Two questions commonly being asked about autonomous driving cars are regarding the safety of self-driving cars on the road, and how does the technology work? The answer to how self-driving cars operate is relatively simple. Basically, the car is equipped with a sensor and a GPS system. So first, the destination information is entered into a GPS system and then a navigation system is able to route the car. Then once the car is in motion, the car’s sensors begin working to control the car. The car’s sensors are like the driver’s eyes -- they are able to sense the motion and activity going on around them and are able to sense where the car is in relation to those motions. The sensors detect what is around the vehicle including: pedestrians, traffic lights, and other cars. Additionally, the car’s software takes the car’s location into account and makes its moves based on these surrounding, such as stopping, slowing, changing lanes and making turns. This is a question any car buyer would want to know the answer to. The answer is yes and no. It is safe enough that google is confident enough to test it on roads this summer. However, it is not safe enough to sell just yet. There have been several reported minor accidents, one of which Google admits they are partially responsible for. What is the current status of autonomous driving cars? Google has already partnered with a couple different manufacturers to create self-driving vehicles for testing and two of the brands that have already partnered with Google are Audi, Chrysler, Ford and Volvo. In addition to Google, there are a variety of other companies also working on self-driving cars. Aside from a car that is 100% self-driving several car brands have already incorporated autonomous features into their vehicles. The point of the technologies is to improve safety and the technologies can potentially save many lives. Here are just two of those technologies already being used in cars. Automatic braking, which allows the car to slow down and even stop when the car senses a need for braking. This feature has been seen as so effective, that it has been mandated to be a standard feature on all cars by 2022 -- you can read more about that here (insert link). Lane Departure Warning: This system uses an onboard camera to monitor the vehicle’s lane position in comparison to other cars on the road. The system will alert the driver if it detects the that the vehicle is leaving its lane unintentionally. What is to come for the future? A lot. Many companies are investing a significant amount of money in self-driving tech and vehicles. Currently, Google has said their vehicles are only for testing purposes and they are not planning on selling these specific cars, but no one knows exactly what the future holds. Self-driving cars have been seen as great potential for car driving services, like Uber. And with that in mind, what is to say that people will even need to own a car or get a license in the future? If the technology works, enough cars could be manufactured to transport people around. It would be a much cheaper and convenient mode of transportation. There is still quite a wait before fully self-driving tech becomes affordable, popular or even allowed. As mentioned previously, auto braking won’t be standard for another eight years, and that is a far cry from total independence from a person behind the wheel. 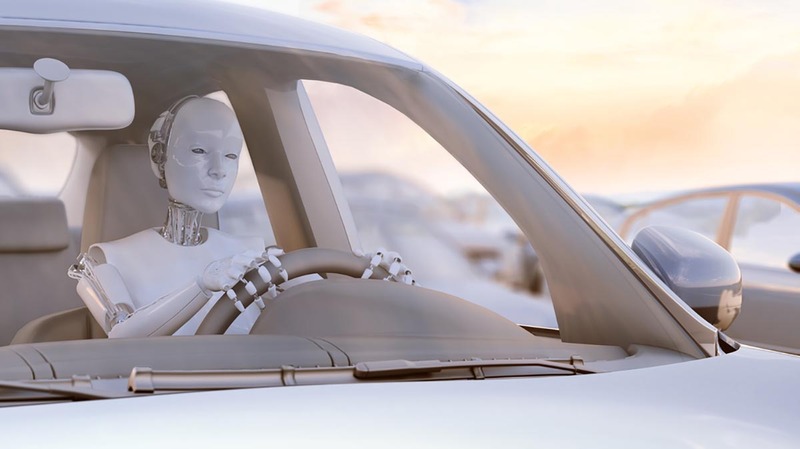 There are many factors that are affecting the future of self-driving cars like the auto industry, government regulators, and most importantly, the technology itself. How accurate and safe will the driver-less experience really be? The process and development will definitely take a lot of time and testing to prove.